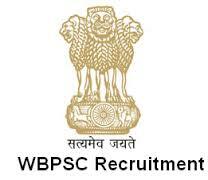 Food and Supplies Department (PSCWB) Recruitment Notification 2018.Food and Supplies Department (PSCWB) inviting applications for the positions of Sub Inspector.Interested and Eligible candidates can apply for the positions. 2. Scale of pay : (PB-2) Rs.5,400/- to 25,200/- + G.P. Rs. 2,600/- -besides D.A., M.A. and H.R.A. admissible as per rules. 3. Qualifications : A candidate must have the following qualifications which should be clearly stated in the application. The qualifications prescribed in the advertisement are as per the notified recruitment rules issued by the Govt. Candidates must fulfill the qualifications by the closing date of submission of application. 1. Citizenship of India or such other nationalities as are declared eligible by Govt. of India. 3. Ability to read ,write and speak in Bengali (not required for those candidates whose mother tongue is Nepali )– vide Finance Department Notification No.- 1243-F(P) dated 02-23-2016. 4. 4. Must possess sound health and ability to undertake extensive tours in rural areas of west Bengal. Rs.110/- (Rupees one hundred and ten) only + Service Charge 1% of Examination Fee subject to a minimum of Rs.5/- (Rupees Five) only for online payment through debit/credit card plus service charge /GST as applicable as Govt. Duty or Service Charge of Rs.5/- (Rupees Five) only for Net Banking or Service Charge of Rs.20/- (Rupees Twenty) only for payment through Bank Counter (off-line payment). c. BC candidates should renew / revalidate their BC certificates in due time. 3. For Ex-Servicemen :- The claim of a candidate for being considered as an Ex-Serviceman should be supported by a certificate from the Army/ Air Force/ Naval Headquarters indicating therein the date of his joining the Armed Forces, the period of his / her service and the date of his/her release from the Armed Forces or the date of the completion of the period of his/her service requisite for being entitled to be released or transferred to the reserve. a. Commencement of submission of online application : The 22nd August, 2018 from 11:00 a.m.
d. Closing date for submission of fees through offline : The 19th September, 2018.